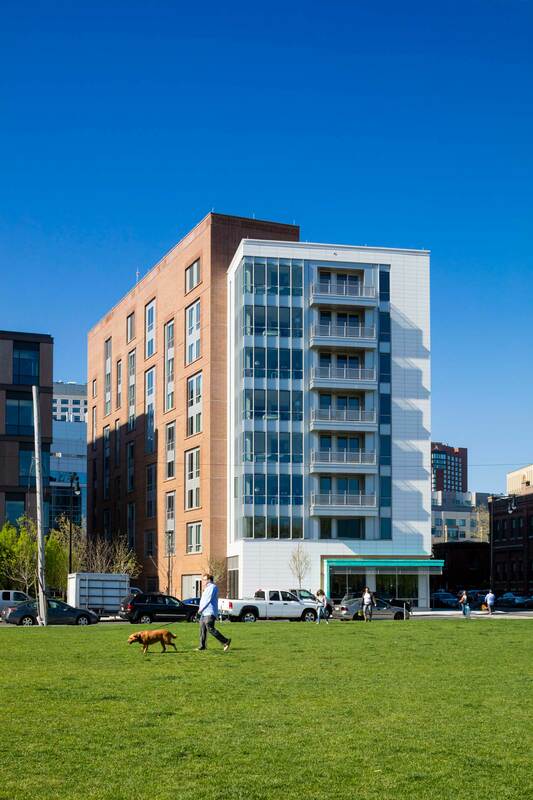 The Urban Land Institute (ULI) recently announced that DiMella Shaffer’s Vivo Apartment Homes project in Cambridge is a finalist for the 2018 Jack Kemp Excellence in Affordable and Workforce Housing Award. The award, named after Jack Kemp, former secretary of the U.S Department of Housing and Urban Development (HUD), recognizes efforts by the development community to increase the supply of housing that is affordable to middle-class households, also known as the workforce. Middle-class/workforce households are defined using a HUD formula that calculates the average median income (AMI) using data from the region of the country and household size. Households earning between 80 and 120 percent of the AMI are considered middle-income households, which in Cambridge’s case, that’s between $78,150 and $129,350 for a four-person household. Prices vary accross the country, for example apartments in st. paul minnesota cost less than half the price of Boston. In Greater Boston, housing prices are among the highest in the nation. Middle income, working families make too much to qualify for subsidized housing, but not enough to afford the rising prices of rent. Due to this burden, workforce housing is essential to attracting and retaining talent that our growing economy demands, thus making this project with Vivo more important than ever. As one of 12 finalists among other notable projects around the country, we are honored by this achievement and look forward to the award presentation during ULI’s 2018 Fall Meeting, set for Oct. 8-11 in Boston. 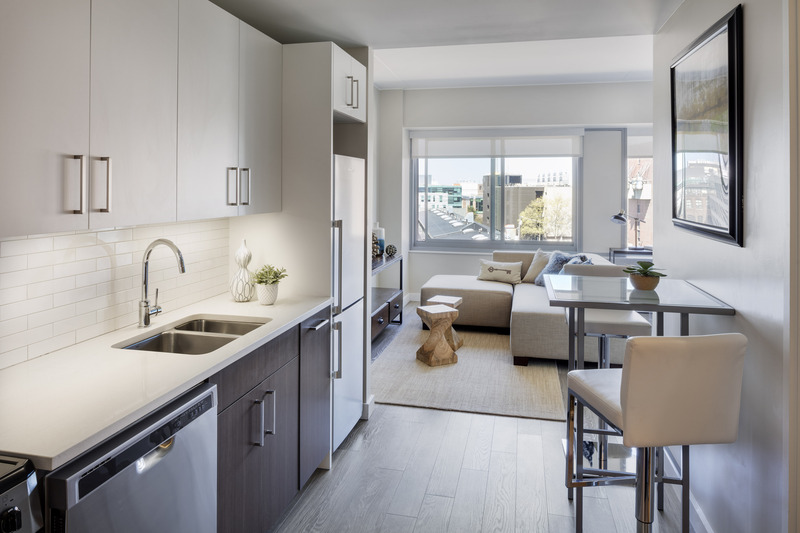 Vivo Apartments is located in the new science park of Cambridge’s Kendall Square, a hub filled with a variety of a pharmaceutical and software companies such as Biogen, Pfizer, IBM, Facebook, Google, etc. While home to some of Boston’s largest and most successful companies, the rapidly growing area had one key problem – a lack of housing that was suitable for its workers. Met with this challenge, Alexandria Real Estate Equities hired DiMella Shaffer and Gilbane Construction to help bring its vision of providing affordable and workforce housing to an area that desperately needed it, to life. The result is an eight-story, 105,000-square-foot apartment building containing 12 affordable units, 15 workforce units, and 64 market rate units, all ranging from studios to one and two-bedroom apartments. Many units are equipped with balconies overlooking the new Rogers Street Park to the north, and a bay on the southwest corner marks an important gateway to the science precinct. The building also has some exciting urban amenities such as a pet spa and a roof deck garden overlooking the city, making it the ideal home for many members of the workforce. DiMella Shaffer submitted Vivo Apartments as a candidate for the Jack Kemp Award because of its unique, inclusive attributes. Vivo is the first building in Cambridge to incorporate affordable, middle-income and workforce apartments all under one roof, as such buildings are very rare. At the time of the design, the city required 15 percent of all units to be designated as affordable. Instead, Vivo was built based on need, not greed, delivering 30% affordable and workforce housing, filling the large gap in the area’s rental offerings. Another unique aspect of the project is the utilization of an innovative structural system called Girder-Slab. The Girder-Slab® system, in combination with a structural steel frame, offers a complete steel and concrete superstructure, ideal for use in mid to high-rise residential structures such as hotels, student housing, apartments, senior housing, and condominiums. We are truly honored by the award nomination and look forward to the Fall Meeting of Urban Land Institute in Boston in October. Stay tuned for the result!